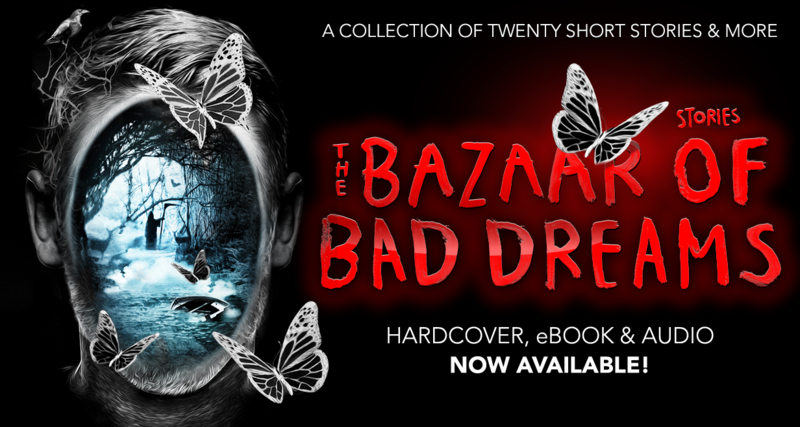 Results for - Have you read Stephen King's latest book titled: The Bazaar of Bad Dreams? 1. It's a collection of short stories, is that something that would interest you? 2. If you haven't read it, are you going to buy it for yourself or as a Christmas gift? In the comments: How many of his published works do you own? and Do you prefer his full length books or short stories like this one?